Beach BOOSTER Radio Podcasts - BEACH CORNER with Dianna Chycki - KEVIN & THOMAS FINN and JAMES GODFREY - "RAT PACKED CHRISTMAS COMEDY HOUR"
BEACH CORNER with Dianna Chycki - KEVIN & THOMAS FINN and JAMES GODFREY - "RAT PACKED CHRISTMAS COMEDY HOUR"
Get ready for a not so silent night with “Rat Packed Christmas Comedy Hour” scheduled December 7th and 8th at Collingwood's Simcoe Street Theatre. Doors open at 7:00 p.m. and show starts at 7:30 p.m.Featuring Wasaga natives, Kevin and Thomas Finn with special guest, our very own, Rebecca Rain and Toronto comedian, James Godfrey as seen on Disney Channel. Performing holiday themed sketch comedy in a “Martin and Lewis” styled evening with singing, impressions, live music and comedy Christmas cheer. Dianna caught up with Thomas Finn, James Godfrey and Kevin Finn at our Beach BOOSTER studios at Stonebridge Town Centre where I had the pleasure of being entertained by this amazing talented trio. 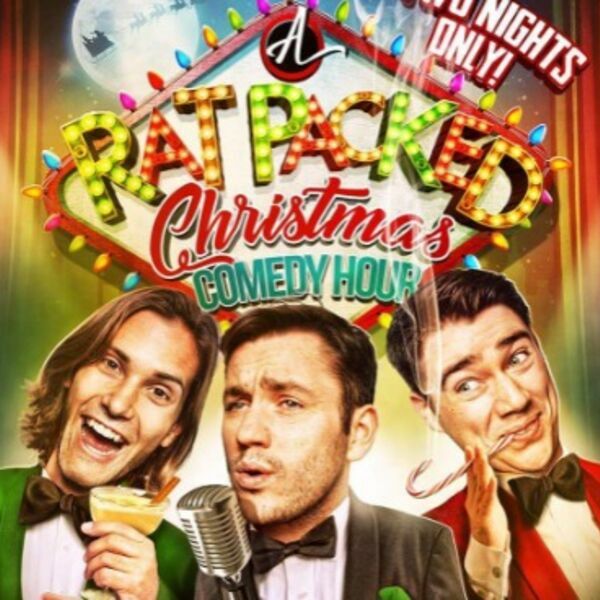 For tickets and more information visit: ratpackedchristmas.brownpapertickets.com. Please enjoy and SHARE this great local programming on Beach BOOSTER Radio, Wasaga Beach's only truly LOCAL radio.